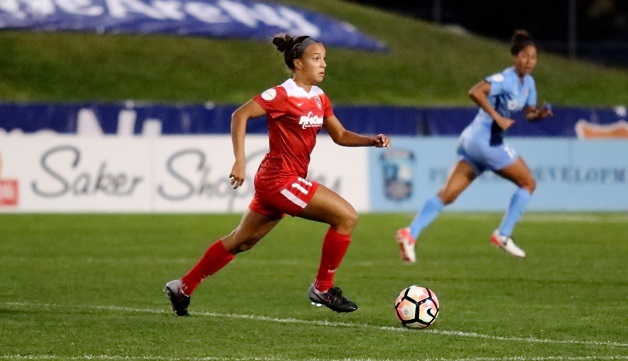 Boyds, MD (September 11, 2017) – Washington Spirit forward Mallory Pugh has been nominated for NWSL Goal of the Week for her game-winning strike in the 85th minute against Sky Blue FC on Sunday night at Yurcak Field in Piscataway, N.J.
Four game-changing goals with implications in the #NWSLPlayoffs race. Voting for the NWSL Goal of the Week takes place exclusively on Twitter. Cast your vote at the @NWSL on Twitter using the hashtag #PughGOW!